May is Mother Mary month - God's Earth Party Forever site. God's Earth Party Forever site. From Infinite God 'W' Love ~ Welcome to HisHer ~ Our Ascending 'Heaven on Earth' God-Is-Love 'Fun' Jubilee. Celebrating partnership w Max Gratitude, forever. Thank You God ~ Divine Source Creator All That Is, 'IJN' Indeed. And So It Is. HisHer ~ Our Earth Party Forever ~ New Good News of Forever 777. HisHerOur 'Earth Party Forever' ~ Site Essentials page 777. Heaven's Earth Party blog VII-3 777. Heaven's Earth Party blog VII-4 777. His ~ Our Earth Party Forever ~ Heroes 777. HisHerOur 'Happy New Beginning' Earth Party Forever Ascended 'Happily Ever After Fun' page 777. Mother Mary Most Blessed Sacrament Church, Quincy [Hough's Neck] Ma. to the folly of things that hurt and harm our beloved long suffering host, Gaia, Terra - Mother Earth. Let mankind open their eyes and STOP. activities such as fracking, drilling for oil, playing with our weather and any other unnecessary folderol. Heavenly Fleets "Come On Down." Let's do coffee or whatever and show us around the perfect ship Heaven has for each of us to check out. amplified at 7pm every day wherever one is in the world. WE Thank You So Much Mother Mary, we Know You Have The Power and Creator and Jesus Is On Our Side. And So It Is Done NOW, IN JESUS NAME. Thank You Source Father Mother God. All That Is and All That Isn't. Infinite I AM THAT I AM. Oh, to be home and sink into the green green grass of home. Sounds like Heaven on Earth. Thank you ElvisPresley for sharing on YT. Thank You "The King" ~ Elvis Presley. and if you'd like to hear audio, here you go with thanks to gattoaladino for sharing on yt. Of course, it's your prerogative. As Zorra advises we say "What a Wondrous, Glorious Loving Day It Is!" Indeed, and what an amazing, awesome, time to be on planet Earth. It really is time to get this party started. This month of May. The signs are everywhere. this day is what we've been waiting eons for. to deliver us, her loving children, to our most perfect place according to Creator's perfect divine plan. given talents so let's continue to share and invite ALL THAT IS that is in the wings for us to manifest and In Jesus Name. ~ So it Is NOW. Amen. Thank you NEA ZIXNH for sharing on yt. Thank You The Police ~ Sting, Andy Summers and Stewart Copeland. Greetings one and all and how is everyone on this 2nd day of this sacred month on planet Earth? Great, I'm sure. you beloveds, your eternal infinite soul is rejoicing because it knows what is just around the corner. In a word "fantasticness." Say good bye to the ridiculousness, embrace the new paradigm of Love coming over the planet like a mighty tsunami. It's time. Did everyone "plugged in" remember to say your special prayers to Mother Mary In Jesus Name at 7 pm last night? I know Creator heard ours. their higher or best self. Whenever we hear that song we know Mom is checking in and we are filled with joy, Yes.. Ever laugh and cry at the same time? Yes, this was good as most, if not all, of you have experienced. That song and other Cat Stevens ~ Yusuf material, for lack of a better word, is at that page on menu at left. living room at Mom's behest. She prayed endlessly to Mary and I can't even put a number on how many rosaries my mother prayed for me, alone. And So It Is, Indeed. Carry on with Godspeed beloveds, until next time. Peace & Joy to the world, now, anyone? Thank you Aviv Ben Israel for sharing on yt. Thank You John Lennon and Yoko Ono. days we celebrate and live thru as great gifts from Creator, and so they are. Yes. you see he was so absorbed in working on this site yesterday, though it's not really "work" - more like a labor of love - willingly taken on and guided by spirit; he looked up and it was 7:15! Oh my goodness, Late for the prime time sharing of Mary's communion of prayer gathering. Talk about "ring them bells" paul boy should set his alarm clock from now on. lol Though work on this site is almost like praying, those 15 minutes I'll pay you back Mary. Promise. In fact done. Amen. Let's see where spirit guides us on the computer, we already have the song of the day in place. Thank You Blessed Mother Mary. Thank you Uberpilot for sharing on Yt. The premature death of Sir Paul McCartney's Mum not only inspired Let It Be but forged a common bond with his fellow Beatle John Lennon. Thank you PHẠM THỦY TIÊN for sharing on YT. Thank you Dedicated Lightworker for sharing on YT. Thank you EDUARDO DYABLO 4 sharing on YT. 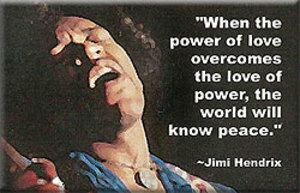 Thank you beloved master Jimi Hendrix. And so it is, now, indeed. Thank you to Janine Mitchell for sharing this on yt to the world. All the songs of the day are for Divine Blessed Virgin Mother Mary. 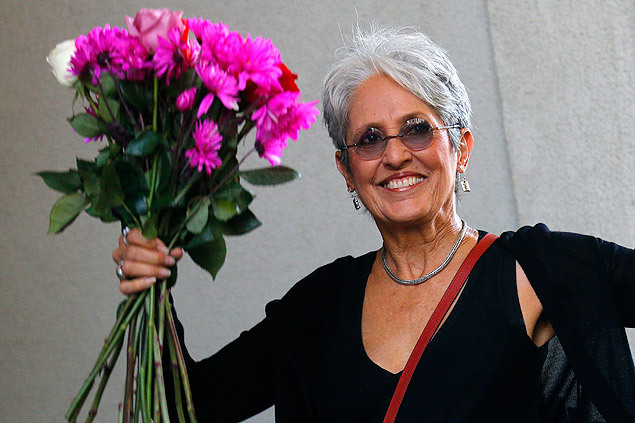 Thank you Joan Baez and also to Eliza Gilkyson who penned this awesome song. Thank You Blessed Mother Mary of Medjugorje.and the world. Dedicated to Mother Mary and My Mom and All Golden Hearted Moms Everywhere. Thank you to clydeman for sharing on yt. Be it now known that this page is officially "Mary's Place." Mary would like to know... Do you believe in miracles? Thank you to TheJavierClan for sharing on yt. Thank You Divine Blessed Virgin Mother Mary. Thank you Bruce Springsteen VEVO for sharing this awesome gift on yt. Thanks Bruce! Thanks to All who love Bruce. Who does that leave out? And so it is, now. Thank you BoboliciousWorld for sharing the great art on yt. Thank you HarlJHogg for sharing on yt. Thank You Blue Oyster Cult. Buck Dharma on lead guitar and vocals. If BOC comes near your town - don't miss! Thank You Blue Oyster Cult. own investigations of the miraculous if led - plenty online and off. all immortal spiritual beings having human experiences which we are on the rise from? Thank you toABC News for sharing good news. Your beloved Son, Our Saviour ~ Jesus Christ. Amen. Thank you to Luis Delgado for sharing on yt. Thank You Heart ~ Ann and Nancy Wilson and Jason Bonham and Company & Audience! And, of Course, Thank You Led Zeppelin ~ Jimmy, Robert, John Paul and John!